Mary Attends ‘The Hollars’ Premiere! Mary gave a lot of lip last night while walking the red carpet at the Los Angeles premiere of The Hollars. She was joined by director/co-star John Krasinski and co-stars Charlie Day, Margot Martindale and Ashley Dyke. Head to the gallery to check out all the photos! The first clip from John Krasinski’s latest film The Hollars has been released. The film will be out in limited release in the U.S. on August 26. I also screen capped the clip. Aspiring NYC artist John Hollar (Krasinski) returns to his middle America hometown on the eve of his mother’s brain surgery. Joined by his girlfriend (Anna Kendrick), eight months pregnant with their first child, John is forced to navigate the crazy world he left behind as his dysfunctional family, high school pals, and over-eager ex (Winstead) flood back into his life ahead of his mother’s operation. Just like the title says, a new still of Mary in John Krasinki’s latest film The Hollars has been added to the gallery. Click the thumbnail below to view it full-sized. The film will be out in select cities August 26. The long-awaited trailer for Mary’s new film The Hollars has finally been released and you can watch it below. I have also added screencaps of Mary’s scenes into the gallery. “The Hollars” opens on August 26th. Hours after it was announced that A24 acquired the distribution rights to Swiss Army Man, Variety is reporting that Sony Pictures Classics has now bought all rights in the U.S. and Asia to John Krasinski’s drama “The Hollars” on Friday, the same day as its premiere at the Sundance Film Festival. 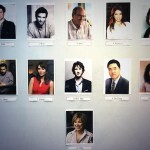 The cast includes Krasinski, Margo Martindale, Richard Jenkins, Sharlto Copley, Anna Kendrick, Charlie Day, Josh Groban, Mary Elizabeth Winstead and Randall Park. Krasinski plays a struggling New York City artist who is forced to navigate the small middle-American town he left behind when news of his mother’s illness brings him home. When he returns, he’s immediately swept up in the problems of his dysfunctional family, high school rival and an over-eager ex-girlfriend (Winstead) as he faces impending fatherhood with his girlfriend in New York. No word yet on when it’ll hit theaters. Looks like Mary will be keeping busy at Sundance early next month! After news broke last week that Mary’s upcoming film with Daniel Radcliffe Swiss Army Man would be premiering at the Sundance Film Festival, another new film of hers will also be making its debut: John Krasinski’s The Hollars. According to the official Sundance site, the movie will debut in the “premieres” section. The film follows aspiring New York City artist John Hollar (Krasinski) returns to his Middle America hometown on the eve of his mother’s brain surgery. Joined by his girlfriend (Anna Kendrick), eight months pregnant with their first child, John is forced to navigate the crazy world he left behind. Congrats to Mary and the rest of the cast! The Festival takes place January 21-31 in Park City, Salt Lake City, Sundance and Ogden, Utah. Did you try to influence your husband, in regard to the character? WINSTEAD: Oh, yeah, definitely. Part of it was that he always knew I was gonna play it, so I was worried that the character would be underwritten and that he wouldn’t really put as much detail into it ‘cause he’d be like, “You’re the actor. You’ll fill in that.” So, I was preemptively like, “Make sure you make this character really interesting.” My character doesn’t come into the script for quite a long time, and the first 30 pages are so strong. I was like, “Please don’t, when you introduce the girl character, make her the least interesting thing in the whole script.” That’s happened to me, a few times, in reading scripts. So, he definitely knew, going into it, that the pressure was on for him to write an interesting female lead. And as it was going, there were a couple of times that I [pointed things out]. The first chunk of the movie, there was a lot of talking about the cult and explaining things and explaining who she is. I was like, “I don’t want that to be all that she does. Let’s make sure that there’s other layers of things going on.” So, he added a couple scenes, early on, that showed a bit more of her strange personality. That was helpful for me, in terms of getting excited about it. What was it like to be directed by John Krasinski for The Hollars? WINSTEAD: It’s a small part. I was actually shooting The Returned, so I just went and showed up on his set for a couple of days, on a break from [the show]. It was a very small part, but super fun. He’s a sweetheart, and I was really happy just to get to work with him. He was just so full of excitement and passion. He was really lovely, and he wrote a really nice letter to me, asking if I would do it. I had met him before, but only briefly, so I didn’t actually know him. But, I was super happy to be amongst that really great cast. It was a great script on that, so it was fun. After working with your husband, in that capacity, and then John Krasinski, did it inspire you to also want to direct? WINSTEAD: It did. I think every film I do, I’m paying more and more attention to all of those things, and watching the directors and how they work. It’s making me feel more like I could eventually do it. I do want to direct, eventually. I don’t know if it will be a short film or a music video or a feature, but I know that I want to at least try it and see. The family creative partnership is an interesting one to me. Do you take the work home with you? Do you try and leave it on set? Stearns: We’re pretty good about not taking it home. Winstead: I was going to say, when you’re doing this kind of movie you’re just never home. Stearns: Her mom came and stayed at our house and watched our dogs, so we didn’t have that to worry about. One thing though is that I was editing at the same time as we were shooting because we were trying to see if we could possibly submit it in time for Sundance, so there was some stress and lack of sleep in that regard. We were staying at a hotel nearby our Long Beach soundstage so that I wasn’t driving far every night. Mary would just stay with me a lot of those nights and I would wake up in the middle of the night sleepwalking basically. Winstead: Sleep directing. Every night. Mary is absolutely stunning in the latest issue of Institute Magazine. In the interview, Mary talks about her new films, Kill the Messenger and The Hollars, which actor has influenced her the most, and more. You can read the full interview here, along with some highlights below. And be sure to check out the gallery for the amazing new pictures! Additionally, Yahoo! Movies debuted a new clip yesterday from Kill the Messenger, which you can now view below. The film will hit theaters on October 10th. I’ve also added caps of Mary into the gallery. You can view the full set by clicking on the thumbnails. Institute: What drew you to the part of Anna Simons? Institute: How was it working alongside Jeremy Renner? Mary Elizabeth Winstead: I was very excited to play Anna, as she’s the editor of the paper and quite an authoritative figure. And yet, she is still young and relatively inexperienced and not perfect. She’s smart and strong, but also fallible. She gets in a little over her head when the story breaks and her relationship with Gary becomes strained. It was great to get to play out this friendship/working relationship with Jeremy onscreen. He’s such an incredible actor and it was so easy to feel so many things for him in any given scene. Gary can be very frustrating for Anna at times, but what she sees him go through is ultimately heartbreaking. Institute: You have worked alongside some incredible talent, who has been the most influential? Mary Elizabeth Winstead: It was great to watch Jeremy work- he’s such a free and instinctual actor. You never know what choices he’s going to make from scene to scene and that’s always really exciting and invigorating to act alongside. I’ve been lucky to work with a lot of actors who inspire me in so many ways. Institute: What has been a stand-out out moment in your career so far? Mary Elizabeth Winstead: I’ve had a few that have felt like personal milestones for me, but I think the film that still stands out for people is Scott Pilgrim Vs. the World. I feel proud to be known as “Ramona Flowers” to the fans of that film. It’s gained quite a cult following over the past few years and I really hope it continues to grow. I’d be more than happy if that turns out to be the project I’m remembered for because it’s just such a great and completely unique film. Mary sure is keeping busy! Aside from her debut album shortly being released on July 22 and currently filming the A&E televison series The Returned, she’s now been cast in John Krasinski’s The Hollars opposite Krasinski (who is directing and starring in), Anna Kendrick, Richard Jenkins and Charlie Day. The film is about John Hollar (Krasinski), an aspiring NYC artist who takes his girlfriend (Kendrick) back to his Middle America hometown on the eve of his mother’s (Margo Martindale) brain surgery. There he’s forced to navigate the crazy life he left behind as his dysfunctional family, high school pals, his father (Jenkins), and his over-eager ex flood back into his life ahead of the operation. 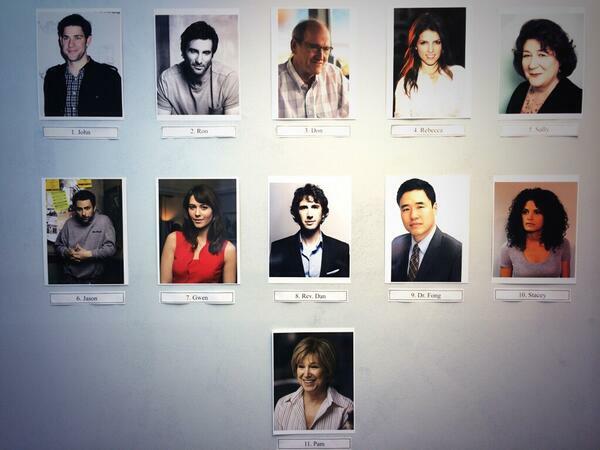 While it hasn’t been officially announced, Krasinski broke the news Mary was in the film via his Twitter. So far all we know is that Mary’s character is named Gwen. Hopefully we’ll know more as filming is set to begin next week in Mississippi!